James Courtney and Michael Meehan, crew members of the S.S. Watertown, were cleaning a cargo tank of the oil tanker as it sailed toward the Panama Canal from New York City in December of 1924. Through a freak accident, the two men were overcome by gas fumes and killed. As was the custom of the time, the sailors were buried at sea off the Mexican coast on December 4. The next day, before dusk, the first mate reported seeing the faces of the two men in the waves off the port side of the ship. They remained in the water for 10 seconds, then faded. 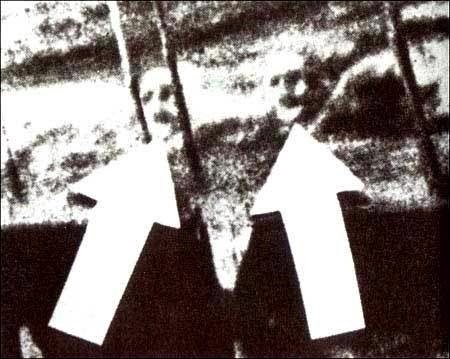 For several days thereafter, the phantom-like faces of the sailors were clearly seen by other members of the crew in the water following the ship.